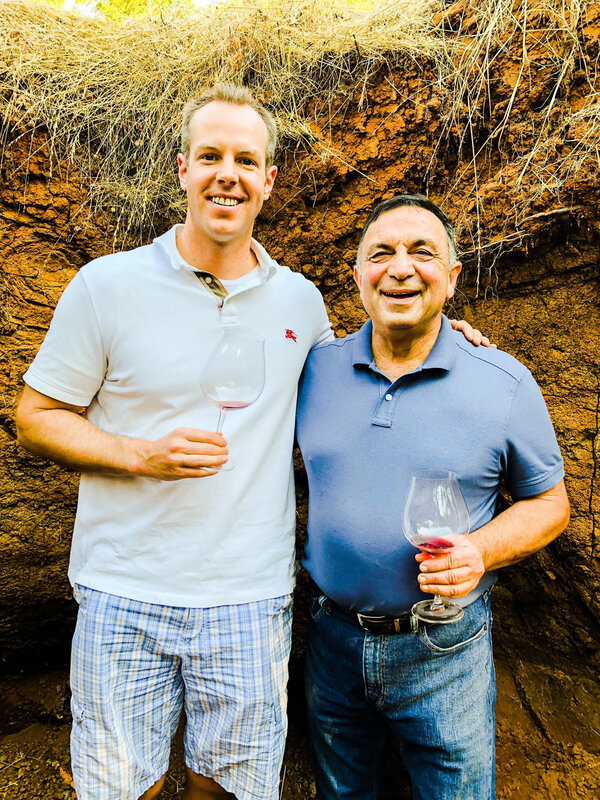 Here I am pictured with Mo Momtazi, pictured in his Momtazi vineyard, as he is one of the pioneers in Oregon Pinot Noir. One of the great historic Oregon wineries, Maysara dates back to 1997 when Moe and Flora Momtazi purchased 496 acres of what was an abandoned wheat farm just south of their home in McMinnville, Oregon. Moe’s vision for the Momtazi Estate was revolutionary. Pinot Noir clones were then planted in 1998, as Mo opted for biodynamic farming to improve soil quality and vine health. The vineyard health is apparent as plants looked wonderfully healthy during my vineyard tour. It is no wonder that some of the top Oregon wineries, like St. Innocent, have been sourcing from this great vineyard for decades. My tour also was an opportunity to gaze into the amazing diversity of soils in the vineyard — from marine sedimentary towards the bottom of the hill and pure volcanic soil at the top. At a dinner with Mo Momtazi he talked about the aging potential for his wines. I was delighted when he poured his 2008 ‘Asha’ Pinot Noir (WWB, 93) which showed a brilliant minerality and was still going strong despite its age. Intrigued by older Maysara wines, I embarked on a mini-vertical tasting which showcased a range of wines and vintages. 2007 was panned by many critics as an unfavorable vintage with lean, angular wines that were simply not ready upon release. These wines improved considerably after some time, which fooled most wine critics (including myself). The 2007 Maysara ‘Asha’ Pinot Noir (WWB, 90) is a gorgeous wine that has wonderful terroir and a Burgundian character. This still has at least another five years of life left. In terms of new vintage wines, I was very impressed by the 2014 Maysara ‘Cyrus’ Pinot Noir (WWB, 93) which is a wine that shows marvelous terroir, richness and balance — essentially everything that you want in a great Oregon Pinot Noir. 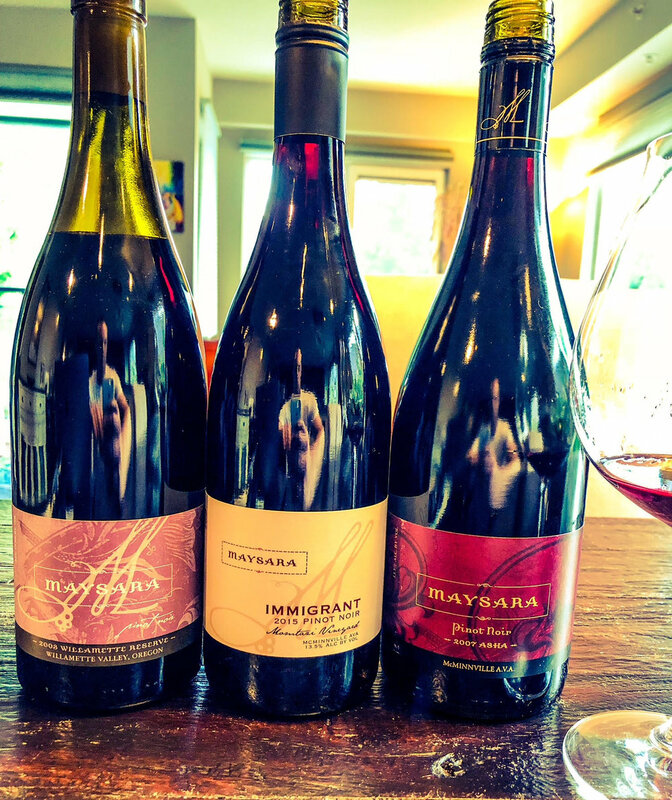 Learn more about these fantastic wines at https://maysara.com/ Here are the wines that I tried in my Maysara vertical tasting.